We asked Sci-Fi Romance author Susan Hayes to keep track of her progress publishing Double Down in audio, and we’ve been sharing her journey over the past few weeks. Missed Parts One, Two, or Three? Day 29 – 06/30/17 : My Audiobook’s Complete! Tieran sent me the completed audiobook several days ahead of schedule, which was a lovely surprise. The entire book came in at just under six hours of finished audio, but it took me longer than that to go through it all. I needed to stay focused, but often I found myself getting caught up in the story, and I would have to go back a bit and make sure I hadn’t missed anything that needed correction. The experience of listening to my own book was an amazing one. I wrote this book over a year ago, and getting to revisit it again in a new format let me enjoy moments that I had forgotten about. My producer added her own subtle touches to my characters. She expressed the personalities I had given them with differences intonation, cadence, and speaking styles, and the result put a smile on my face from the very first scene. Tieran’s rendition of my story enriched everything from the description of the scenes to the personality of even the smallest background character. There’s a lot of trust that goes into a collaboration like this, and I am very pleased with the way everything is coming together. Susan can be found on Facebook, Twitter, and Google+. Continue on to Part Five of Susan’s diary on Friday. 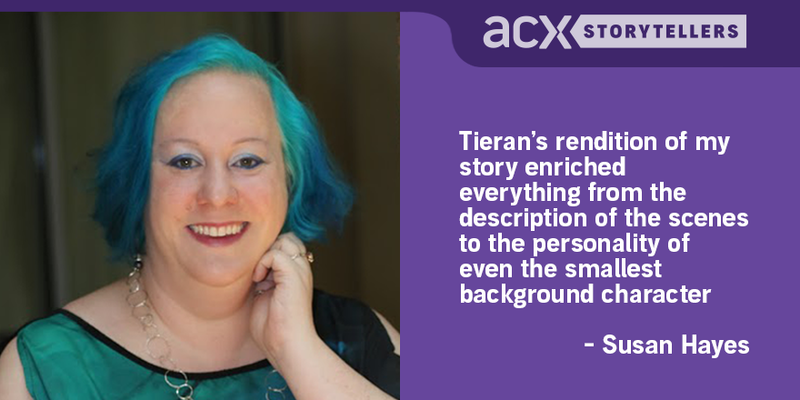 This entry was posted in Storytellers and tagged ACX, acx canada, Audiobook Creation Exchange, audiobook publishing, diary, double down, make audiobooks, susan hayes. Bookmark the permalink. One of the worst things a producer needs to endure is dealing with fuss-budget rights holders.